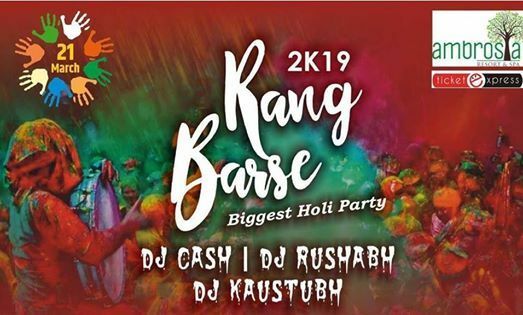 RANGBARSE welcome you all for the biggest Holi event in the town. By being the best in Pune, last year we have covered 1000 crowd. Holi, the best Festival we enjoy with friends, family... but it’s time to get high in colors, rain dance, polymer balls and many more things inside.